The devil is very much going to be in the details, and the new law is going to need serious scrutiny by Parliament. Hopefully they’ll do a better job of it than they did last time. It’s also going to be subject to the official information act. This is something I take as so much of a given that its not worth mentioning. Its a government body, therefore it will be covered. 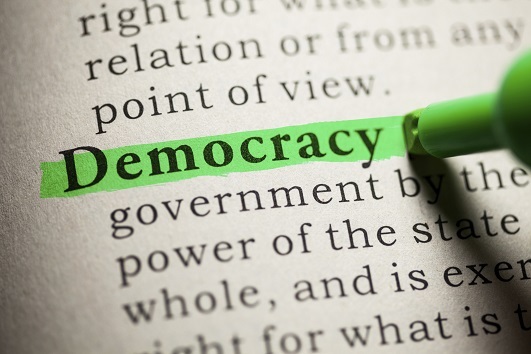 The government and its apologists (will Labour and the Greens have the guts to vote against this) pretend that dictatorship is more efficient – it isn’t and won’t be. We’re already seeing discontent with the way Civil Defence are running things. They’re turning the Red Zone into a semi permanent closure of public space. CD announced today that some areas may never be reopened. There are building sites all over NZ – they are not surrounded by cordons with soldiers and police – usually a notice, a fence and maybe a security guard suffices to keep people out. I think we are seeing a “disasterocracy” pop up. The quake tzar is on a half-million salary (much more than the PM gets). As has happened with security situations overseas, once you create a class of people who rely financially on a continued crisis, they’ll have every reason to string things out as long as possible. What’s actually needed is an accountable, elected body that can make decisions with the benefit of public opinion.We don’t need grand plans, we need the sewerage fixed, the streets made (reasonably) safe and reconstruction enabled. The scale of whats happening in the Red Zone is huge and will not be solved quickly. Over 100 buildings need to be knocked down partly or fully and its likely many of the tallest ones will get demolished whether theyre on that list or not. If I have a building that has been written off by an earthquake, a rational action would be to tear it down and use the insurance to fund building something else, while at the same time salvaging any vital records, etc. If the government prevents me from doing that, then essentially it’s imposing a cost over and above the earthquake damage, and should pay compensation. they should, yes but they are not going to. they plainly state that in the FAQ above. Market price at the time of acquisition! What’s the market price of land inside the cordon right now? I’d like to see an enquiry into why the council has allowed people to build on dodgy land for years. the liquefaction thing has been known about for decades. Why si the council allowed to ignore it. Also the port company has already had a go at getting their consent through that hasn’t yet been granted by the normal process. doing illegal reclamation work which they have now been forced to stop. What date has Rodney Hide freed up Auckland assets to be sold like Ports of Auckland, etc.? Does the czar Brownlee have jurisdiction over all New Zealand?